Unlike TPMS (Tyre Pressure Monitoring System), the PSI system automatically re-pressurises the tyres to a pre-set pressure threshold. 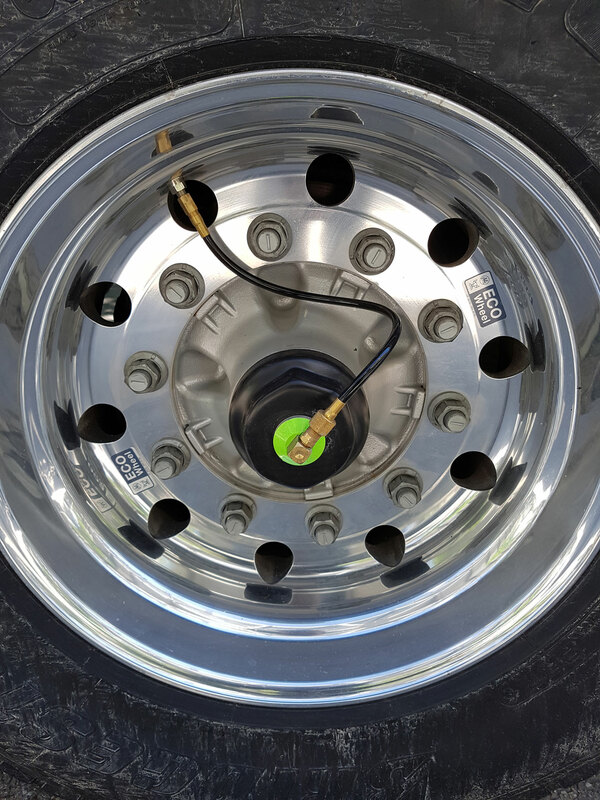 The air pressure is drawn from the trailer air supply, generally the air suspension, which then passes through a pressure protection valve in the control box where the pressure is then regulated. The control box is pre-set to the desired tyre pressure, as advised by the tyre provider and applicable to the load on the trailer. In most cases, air is then distributed to the axle beams, which act as a correctly pressurised conduits, although in some cases the axles are internally tubed if the axle beam is not guaranteed to be air tight by the axle OEM. The air is then provided directly from the wheel ends, through hoses, into the tyre valves. The system can be operational whilst stationary or in transit, as once the pressure drops by 3psi in any of the tyres the system will activate automatically. Pressure Systems International (PSI) was established in 1993. Automatically inflates as needed, whether the trailer is static or dynamic. Compatible with all major axle types. 70% of the top 200 fleets in North America use PSI.